Blogging – We all want to know how to write a blog and how to make money from blogging. Are you struggling to make any money from blogging? Do you put hours of work into each blog post, only to get zero traffic, zero ad revenue or zero commissions? The art of writing blog copy, one that makes a reader “click” (whether that click is on an ad, buy something, or sign up for something), is something that usually requires years of practice, experience and gut instinct. 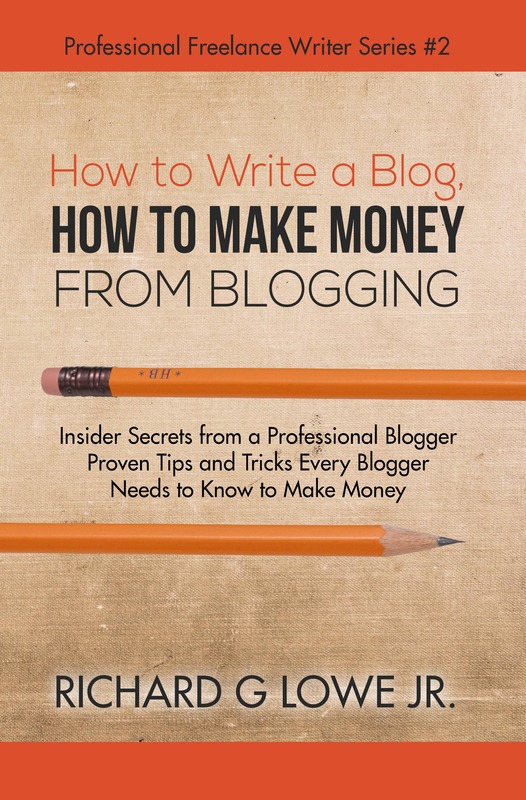 Inside How to Make Money from Blogging, I’m going to show you some of the secrets for pulling the reader through your copy, hitting all the emotional triggers that get them to push that link, subscribe or buy. What to put "above the fold"
Getting them to press "Buy"
When you are finish, you will skip the years of experimentation and have a solid base. A base that you can build on, making money from blogging! There is an art to writing an article that prompts the reader to make a decision to do something. That’s the narrow focus of the book that you are reading on your Kindle right now. You will learn how to create an article that gets a reader interested, entices them, informs them, and causes them to make a decision by the time they are finished. I have a long history in writing articles for the web. I’ve written papers and technical documents since the beginning of my career. Generally these were dry, formal, highly technical tomes serving a very narrow purpose of informing somebody how to use or support an application. About six years after I was married, my life changed. I found myself needing to write. In the year 2010, my wife was very ill. My life revolved around her and my job. In order to remain sane, I had to find an outlet. I started up a few websites and began writing articles. I wrote over thousand articles on every conceivable subject. I would pump out one or two every day. Half of them concerned technical subjects relating to computers or the Internet. The rest were a random mishmash of whatever was on my mind at the time. I posted these articles on my websites and created the HTML code for each one using Notepad. In fact, all of my websites—totaling at least several thousand pages—were hand-coded. In today’s age of applications like WordPress, you couldn’t even imagine the amount of effort that I put into writing and maintaining those sites. In 2013, I decided it was time to take an early retirement from my very well-paying job with Trader Joe’s and accomplish some personal goals. I moved from California to Florida, took some classes, and settled in to work towards achieving them. One of my biggest objectives was to start up a writing career. I’ve loved writing since I was a child, which is probably why I took it up as a hobby while my wife was ill. I have the ability to write very quickly; generally, I can produce 10,000 words per day. As it happens, ghostwriting has turned out to be very lucrative. I seem to have a knack for taking ideas from a person’s mind—or, as I like to call it, their mental Post-It Notes—and create a coherent story. 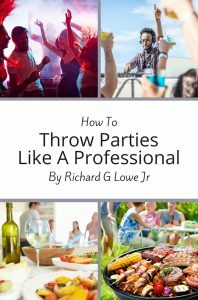 I enjoy ghostwriting and have written another book this series describing my technique. However, the problem with ghostwriting is that for every hour you put in, you get paid for an hour of work. That’s the typical conundrum faced by every contractor or consultant: one hour of work equals one hour of pay. This is why the other three things on my list are designed to produce products that, assuming they are marketed correctly, continue to make money over time. The short Kindle e-books sell very well and retain their value over time. Presumably, the novels will work the same way. While a lot more effort goes into writing a novel versus a short Kindle eBooks, writing novels is probably the thing that I enjoy the most about my new career. Blogs, on the other hand, serve two purposes. First, I can work as a consultant and sell my blogging services. Second, part of being an author these days is to produce content all over the Internet. Much of that content is intended to entice people to purchase my books. There are, of course, several different kinds of blogs. There are those that people write for their own enjoyment and to educate others. These were the kind of blogs I wrote when my wife was ill. They’re not designed to make money, although they can; they’re more of a hobby. Some blogs are intended to provide information about a company, product, or person. These don’t directly sell a product or service. Instead, they are subtly promoting a concept, idea, person, or company. The third type of blog is what will be talking about in this book. These contain articles that are designed to directly create income. This involves a skill called copywriting, which is a very specialized talent. Copywriting is what most people think of as marketing or advertising. I’m sure you’ve received letters in the mail or email that attempt to get you to purchase something. Better written and professional advertising copy may actually succeed in that goal.